Allison Pollard and Barry Forrest gave their talk "Brewing Great Agile Team Dynamics – No More Bitter Beer Face Communications" at Agile Indy this spring. Combining Barry’s development background (and beer expertise) with Allison’s coaching background, the pair share their insights on DISC profiles. The talk was all about understanding why your team behaves the way it does and building trust for a more agile team. Maintaining a high-trust environment is key for creating a more agile team. Allison and Barry start off by highlighting how communication can build or break trust in teams. Understanding your teammate’s favored communication styles and behavioral patterns allows for that trust to grow. This is where the DISC profiles come in. The DISC profile has four different behaviors to help individuals understand the personality differences between themselves and their teammates. Every person has a little bit of each behavior, but there are generally one or two that are prominent in an individual. Image from Brewing Great Agile Team Dynamics Presentation Slides. At the conference, Allison and Barry sat down to chat with Ryan Ripley from Agile for Humans about their presentation and DISC Profiles. 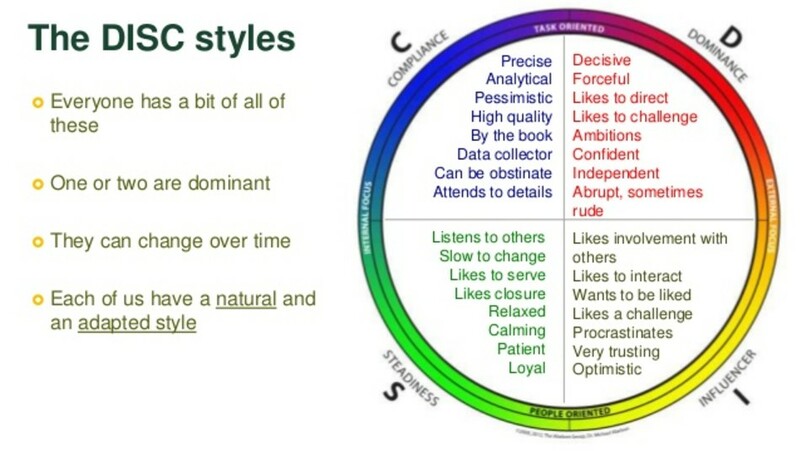 The interesting thing about DISC profiles is that it identifies natural and adapted personality styles. Your natural behavior style is how you intrinsically operate, whereas your adapted behavior style is how you respond to your environment. For example, Barry naturally has a high Dominant and Influencer personality. When he works with certain teams, more of his Dominant traits come out. Once you understand your team’s behavioral styles, you are able to adapt your personality style to better connect and build trust. Interested in learning more about Brewing Great Agile Team Dynamics? Read more at Allison Pollard's blog or check out our class on Agile Team Dynamics.